Oxford Historic District Waterfront- Classic Foursquare house (c 1915). First Time offered in 45 years! Featuring 4 bedrooms, 2 1/2 baths, hardwood floors, 2 fireplaces, open kitchen /family room, formal Living & Dining room & office. Screened in back porch, patio, detached 1 car garage with shop, walk up attic and partial basement. Mature landscaping. 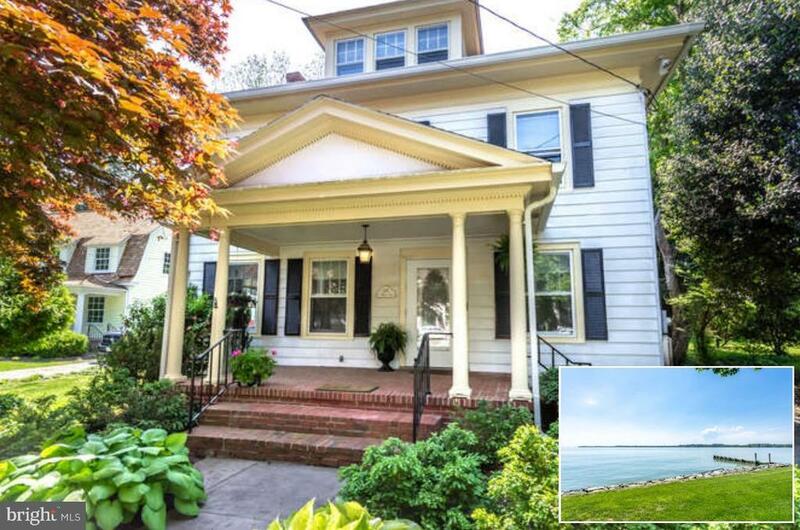 Long private rear yard, rip- rapped shoreline, 65+ on the Tred Avon with broad water views. Listing Agent related to Owner. Directions: Rt. 333 Oxford Road to Oxford, bear right at causeway onto Morris Street, go through town, past the park, property on left, sign.